Do cartoons matter? While Pixar and Ghibli have long since proven that animation is as and sometimes more powerful than live action cinema, a dismissive attitude towards “children films” still exists. Inside Out stands as more ammo to the contrary, presenting viewers with wide-eyed colorful characters that subvert the very way we adults think about happiness. Inside Out’s surface plot is the story of Riley, an 11 year old girl, with the mundane problems that we’d usually associate with the stereotype of, well, an 11 year old girl. Her struggles include the first day of class, trying to fit in, squabbin’ with dad. This unremarkable conflict actually works in Pixar’s favor in two ways. First, it reminds us that even the most basic human struggles are accompanied by complex internal conflict. This rudimentary setup effectively promotes a mature compassion that’s often missing from more “serious” cinema. Not bad for a “kids’ movie.” Secondly, Riley’s quotidian obstacles create a simple plot in a film with narrative and imaginative ambitions that could easily leave us crying in confusion. The real plot and character development occurs beneath the surface, among the anthropomorphized feels and the conflict between Joy and Sadness. The clash between two diametrically opposed ways of being propels a plot without an obvious villain. It’s simply skillful writing. The metaphoric tension takes on the cultural notion that positivity is the only valid way to be. It negates the “neg-shaming” which remains prevalent in this culture, e.g., the #blessed and inspirational platitudes plastered all over social media. But beyond an acceptance of sadness as part of a balanced psychological diet, Pixar champions an emotional partnership. Animation works as the perfect vehicle for this premise, giving life and humanity to easily abstracted and misunderstood conditions like depression. The characters, while sometimes simple representations of human feeling, join forces to create a complex emotional purge. Inside Out shows that films (animated or otherwise) are valuable for their ability to provide catharsis, a place for us to sob or laugh or be afraid, in a world that has little time for anything more than reason. 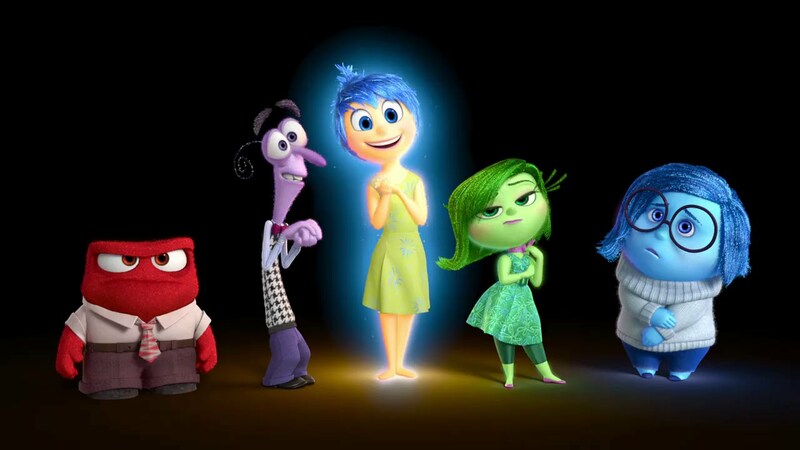 The latter can’t be stressed enough as Inside Out’s story argues for simple elegance in conveying narrative. Pixar takes an infinitely complicated topic and distills it into a consumable yet purposeful form that doesn’t betray its subject matter. It’s not reductive. It’s succinct and inclusive. The plot within the plot, the characters within a character, the feelings within feelings are executed in way that the story is communicated as clearly as its color coded heroes express their respective sentiments. The choice of passions stay true to the emotional range of a child while keeping the cast manageable. You could even say Inside Out’s characters parallel the very emotional palette that film can induce: happiness, anxiety, frustration, revulsion, and sorrow. It’s a brilliant merger of form and content. You may be wondering which Pixar we got with Inside Out. And I’m happy to say, this isn’t Cars 2. 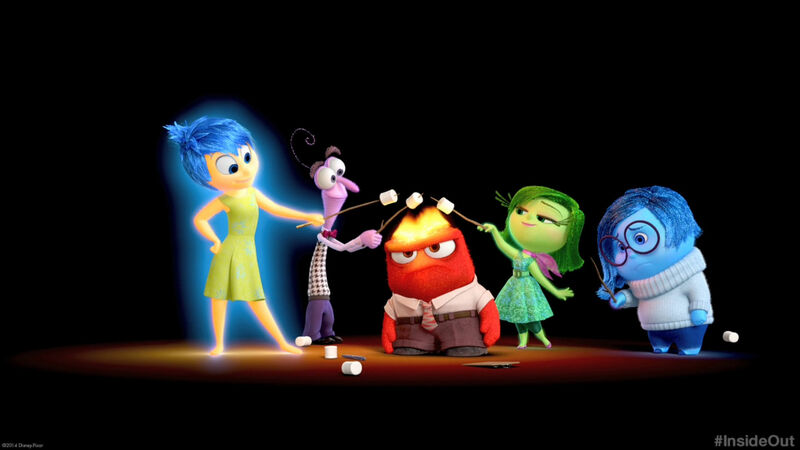 In fact, Inside Out may very well surpass Up as the studio’s one-off masterpiece. Pixar again has shown why they’re the world standard for 3D animation. It’s not only because of their incredible technology, but virtuoso visual design. 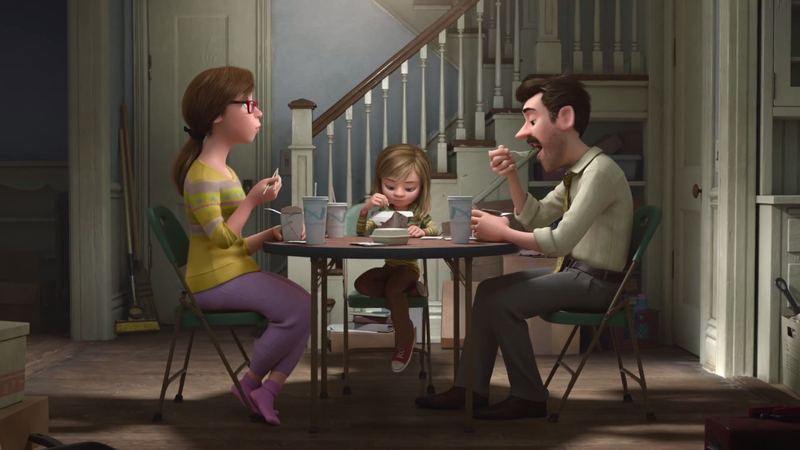 Inside Out’s visual language is so strong and intelligible you would be able to follow the story without dialogue. The extent of this tight aesthetic extends from the physical manifestations of the mind (see: “train of thought”) to the effervescent texture of the protagonist’s bodies. Pixar uses these emotional caricatures to recreate the film’s characters within us: making us laugh, fume, scoff, and feel that lump swell in our throats. The irony is that a movie which exudes such genuine human emotion is composed of cartoon characters. But this cartoon accomplishes a poignant cinematic achievement. 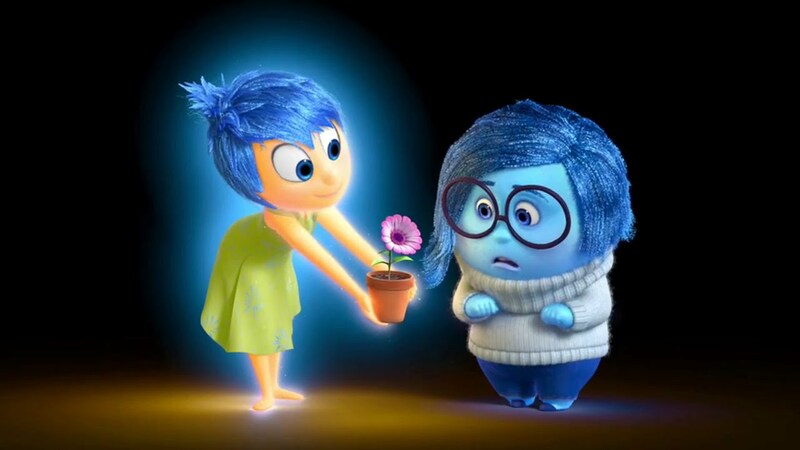 Inside Out lets us empathize with emotions (our own and each other’s) by putting a face to what we feel.